It’s not surprising that there’s yet another Facebook game that encourages players to engage in legally questionable virtual activities. What is surprising, however, is that this one is a bona fide, officially licensed, television series tie-in product. Weeds Social Club offers players the opportunity to grow, sell, and otherwise get into the drug business with some assistance from the cast of the award-winning Showtime television series Weeds. In the game, you play a down-and-out character having some serious money issues. So what do you do when you’re facing an impending eviction? You get into the drug game, of course. 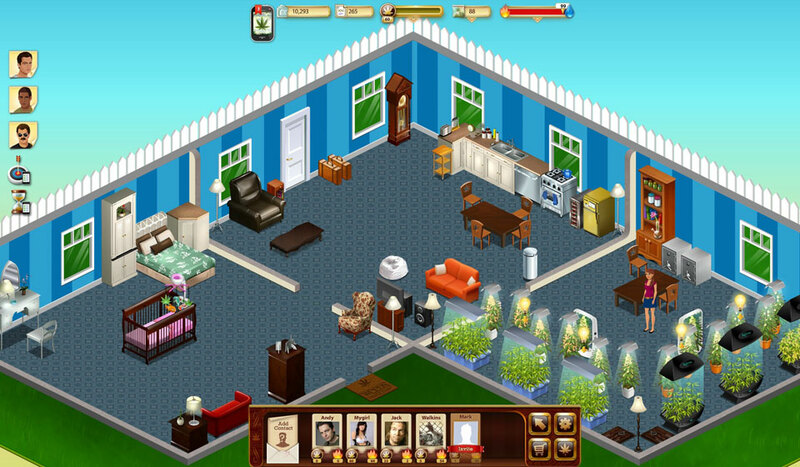 The initial stages of the game offer a tutorial narrated by Andy Botwin himself (played by Justin Kirk in the series), the brother of the television series’ main character, Nancy Botwin (Mary-Louise Parker). Once you’re given a 101 on how to grow, harvest, store, and distribute the product of your horticultural endeavors, you’re free to make your way up the pot-dealing ladder. And since it’s a Facebook game, you can also interact with other players who participate in the game. My brief play-through of the game — which is currently in beta stage — stalled out around the time I went to visit Andy and pick up some of his stash, so developers Ecko|Code and Mytopia might have a few more bugs to work out. Even so, the game seems to echo its source material by having some surprisingly good music playing as you do, well… whatever drug-friendly things you’re doing in the game. Still, if the world of Weeds is something you’re interested in, this could be the Facebook game for you. Oh, and don’t worry. The game doesn’t actually make your computer smell like a college dorm — at least, not yet. Future updates could change that, though.